Create custom statuses to describe the unique stages of your team’s workflows and visualize the entire process in a Kanban board. Review the state of your projects in real-time to quickly identify possible roadblocks, monitor team progress, and keep projects moving forward. Make sure you’ve got enough bandwidth to get work done. 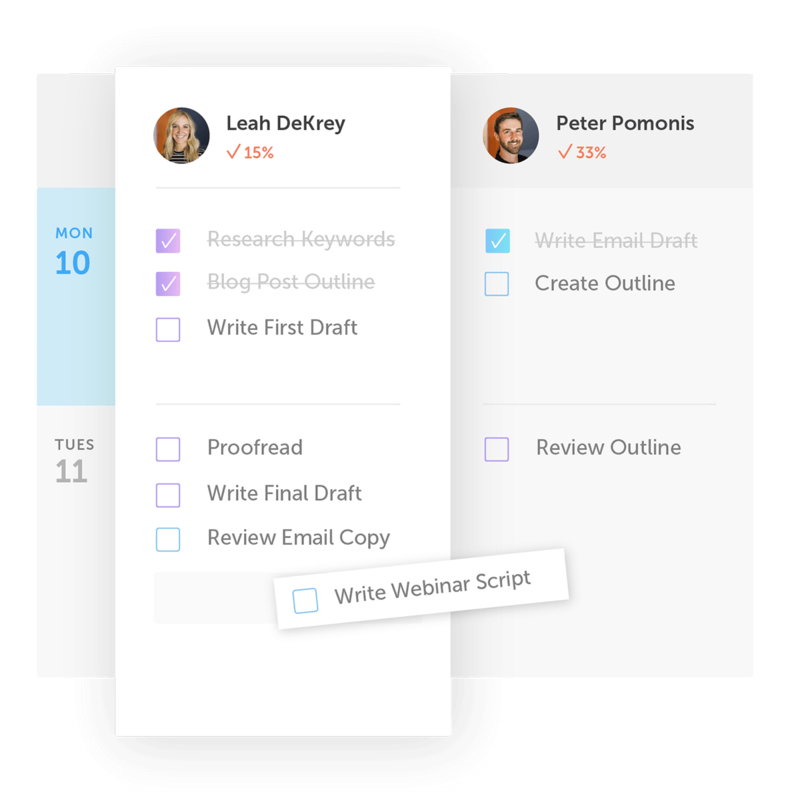 Access a live view of every employees’ to-do lists and projects. Easily delegate, assign, and reassign tasks to effectively manage your team’s priorities. Stop manually adding and updating tasks for recurring projects. Build task templates with task rules to intelligently assign tasks, reschedule overdue tasks, update project status, and more. Add required approvals to your team's workflow to get feedback and sign-off from key stakeholders. Nothing gets shipped without a final review. No more convoluted emails threads or missed instant messages! Keep your team in the loop and the conversation in context with CoSchedule's integrated discussion threads & browser notifications. Get a breakdown of your team’s progress. Identify trends in task completion rates to set team goals, determine capacity to take on new projects, evaluate staffing needs, and review employee specific reports for annual performance reviews.